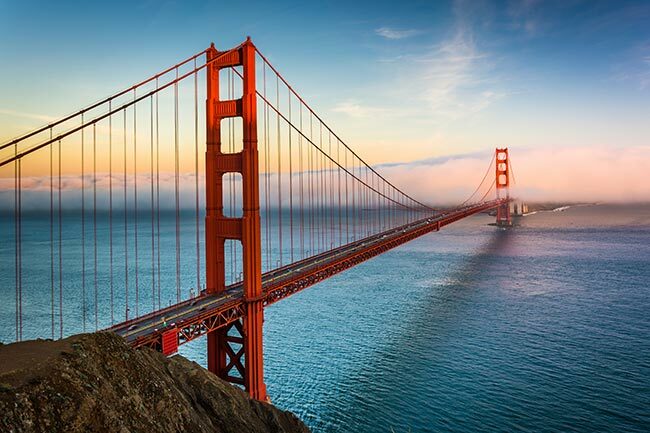 As one of the centers of Silicon Valley, San Francisco, California is widely known for its tech prowess. The city and its neighbors continue to attract the most innovative minds in the United States, providing an economic engine for the global software industry. This tech dominance offers an impetus to countless other industries, including financial services, automotive production, and tourism. ExpeditedFreight.com makes sure all these industries are in good shape by bringing them the supplies they need quickly and safely. Operating in San Francisco and the broader Bay Area, we keep all our clients on schedule while guarding their items against harm. San Francisco’s tech industry relies on a variety of delicate hardware and tools, which must be delivered quickly from distant locations without being damaged en route. This gives carriers a challenge, which is only exacerbated by the competing demands of other businesses in the Bay Area. Take the recent decision of Ford to open a research center in Palo Alto, thereby tying the region to the automotive industry. Now, carriers will have to bring in completely different but similarly delicate and critical parts for automakers, all while continuing to supply their clients in tech just as effectively as before. ExpeditedFreight.com has no trouble juggling the competing shipping needs of automakers, tech companies, and dozens of other distinct business fields. We offer express trucking into and out of San Francisco, as well as other communities in the Bay Area like Palo Alto, Fremont, Sunnyvale, San Mateo, San Jose, and Oakland. Extensive Connections - ExpeditedFreight.com has a coverage network extending across all major metropolitan areas in the US, along with most of Canada. This allows us to ship into San Francisco at a moment’s notice, dispatching a truck to your starting point from our nearest coverage location. It also means that when we’re shipping out of the Bay Area, we’ll have replacement vehicles along the route that can take over if anything happens to the truck we start with. Dedicated Solutions - Whenever we ship your order, we will assign a vehicle to carry it and nothing else. As a result, we can go straight for your destination without supplying other clients first, and we can load any storage equipment you request to keep your items safe. This lets us boost both speed and safety in one fell swoop. Planning & Tracking - We plan every delivery beforehand to limit the possibility of delays, breakdowns, or inventory damage. We then use advanced tracking to watch the vehicle along the way, steering drivers around any new delays that arise. Team Driving - To make sure our drivers are alert enough to follow new instructions and do their jobs safely, we place two drivers in each vehicle, instructing them to switch off regularly. Each individual will thus have a chance to rest along the way. Tesla, Inc. has earned a reputation as the most advanced and forward-thinking manufacturer in America. It’s only fitting, then, that the company’s main production facility would be every bit as cutting-edged. Situated in Fremont, California at 45500 Fremont Boulevard, Tesla Factory is responsible for building Tesla’s electric vehicles, including the Model S luxury liftback, the Model X crossover, and the Model 3 sedan. It’s no exaggeration to say that the future of human transportation, energy, and environmental conservation is being determined at this facility. 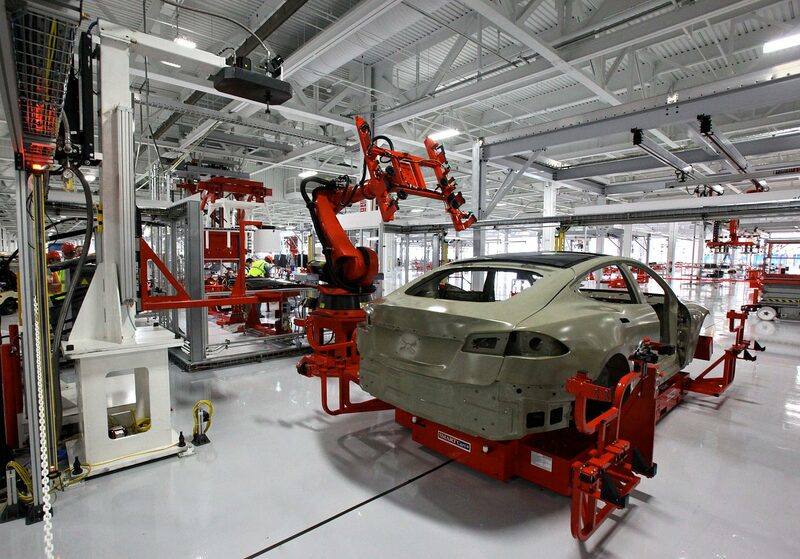 As a space-age facility, Tesla Factory faces all the logistical challenges of the typical automaker, along with several more unique ones. The company needs a range of precise and sometimes rare parts in order to build the batteries, powertrains, and other equipment necessary for successful electric propulsion. But even given Fremont’s strategic location within the San Francisco Bay Area, such parts aren’t always easy to come by. Tesla Factory is thus heavily dependent on long-distance shipping, making it vulnerable to both delays and road damage. When such damage and delays prevent Tesla Factory from getting its products, the facility turns to ExpeditedFreight.com to save the situation. A skilled express trucking provider, we know how to resolve even the most serious shipping emergencies with ease. We ship quickly and reliably while keeping the inventory safe from all forms of damage along the way. In this way, we help Tesla Factory and all other advanced facilities continue the march of progress. For a free quote on future orders or answers to any questions about existing ones, contact ExpeditedFreight.com today at (323) 648-3500.